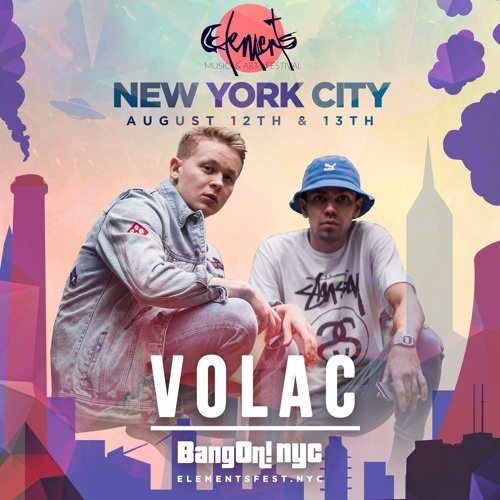 VOLAC, is an eclectic Russian duo that specializes in combining elements of bass house, deep house and g-house together, and they’ve prepared a bumping exclusive mix for the upcoming Elements NYC Music & Arts Festival! Elements festival is this Saturday and Sunday – August 12th and 13th and is hosted at an industrial waterfront location and features 5 unique stages and art installations! You can still grab tickets here. The line up is absolutely massive for this festival – and amongst the numerous headliners, VOLAC promises to be a truly awesome bass house and deep house live experience. 1What has been the most memorable experience so far on tour this year? We have a lot different cool moments but the most memorable are So Track Boa festival in Green Valley/Brazil and HARD fest in the US. 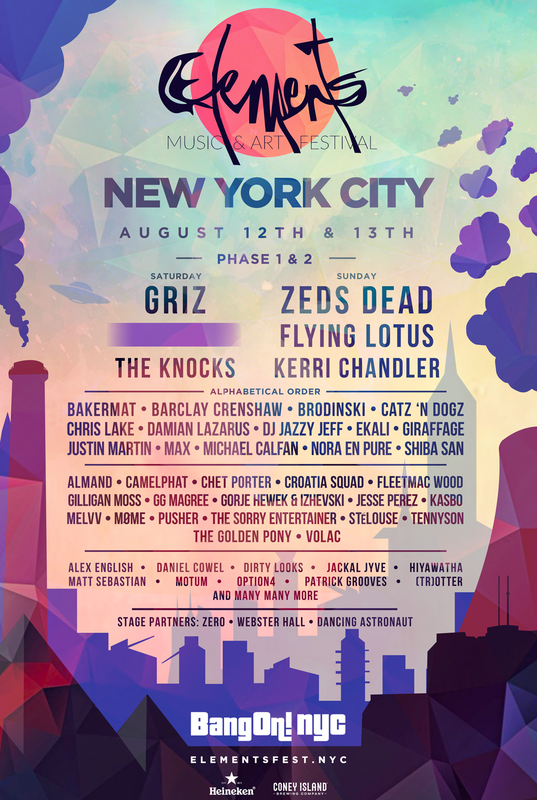 2What do you have in store for us at Elements NYC Festival? 3Being proponents of the bass house and deep house scene – who would you say have been the biggest influences on you guys – production wise? 4How was the experience like collaborating with DESTRUCTO on “What I Got”? Destructo and we came from G-House. He’s often supported and played our tracks. That is why we decided to make something with him. He definitely knows how to combine rap/hip hop & house music. We’ve exchange ideas with him and gave birth to ‘What I Got’. The track blows up everywhere when we play it! 5Are there any plans for more collaborations this year? 6What advice do you guys have for upcoming producers and DJs? Just try to be unique. Don’t copy other artists. Do your own sh*t. That’s all. Be sure to check out their special Elements festival pre-mix below to get amped for this weekend!